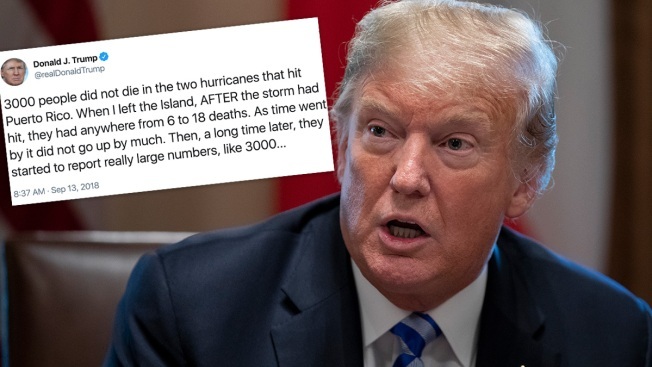 As Hurricane Florence bore down on the U.S. on Thursday, President Donald Trump angrily churned up the devastating storm of a year earlier, disputing the official death count from Hurricane Maria and falsely accusing Democrats of inflating the Puerto Rican toll to make him "look as bad as possible." Trump's jarring comments, coming as the East Coast braced for a massive storm, offered fresh evidence of his resistance to criticism and his insistence on viewing large and small events through the prism of his own success or failure. 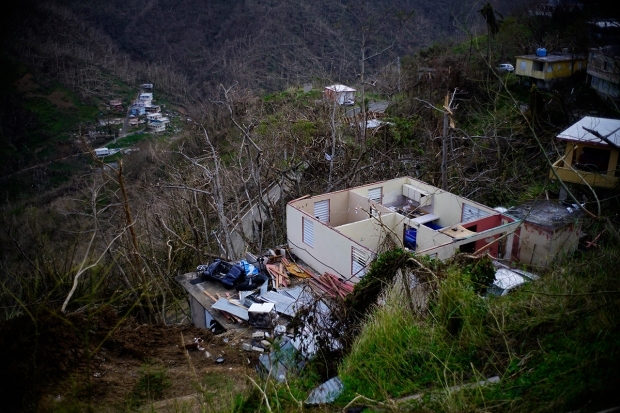 "As the President said, every death from Hurricane Maria is a horror. 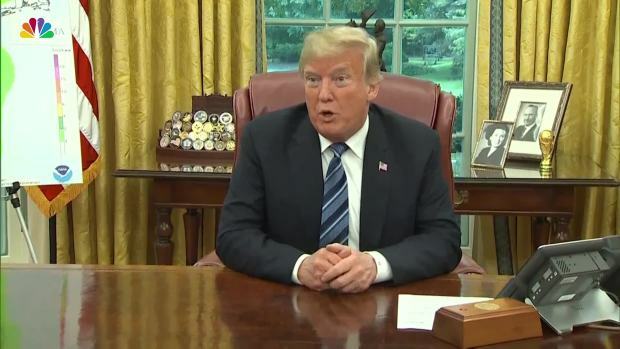 Before, during, and after the two massive hurricanes, the President directed the entire Administration to provide unprecedented support to Puerto Rico," said White House spokesman Hogan Gidley. "President Trump was responding to the liberal media and the San Juan Mayor who sadly, have tried to exploit the devastation by pushing out a constant stream of misinformation and false accusations." Throughout his presidency, Trump has struggled to publicly express empathy at times of national crises, sparking outrage during his post-Maria visit when he feuded with San Juan Mayor Carmen Yulin Cruz and tossed out paper towels to victims like he was shooting basketballs. In recent days, Trump publicly lauded his own administration's response to Maria — and privately groused over storm-related news coverage that he saw as overly focused on Puerto Rico, according to two Republican advisers close to the White House who weren't authorized to speak publicly. In a statement obtained by NBC News, the institute stood by its science and findings in response to the president's claims, saying the study was carried out "with complete independence and freedom from any kind of interference." The issue is clouded by the fact that the there is no federal standard for how to count disaster-related deaths. The National Hurricane Center counts only deaths directly caused by a storm, like people who drown in a storm surge or are killed by flying debris. It does not count indirect deaths, like those whose medical equipment fails in a blackout or are electrocuted by downed power lines. 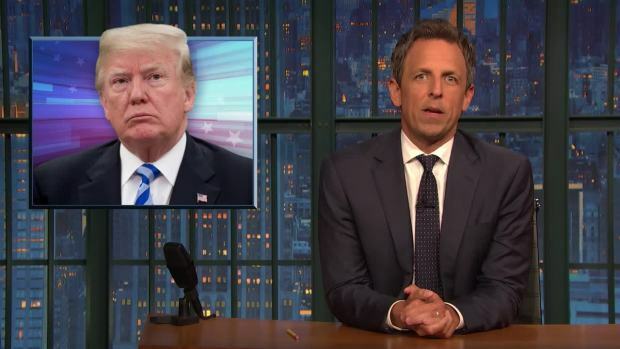 Seth Meyers takes a closer look at Trump bragging about his handling of the hurricane in Puerto Rico while it becomes clearer that there are no "adults" around the president to control his worst impulses.